Of all the classic metal bands that have staged successful resurrections in recent years, the return of Accept seems the most unlikely. 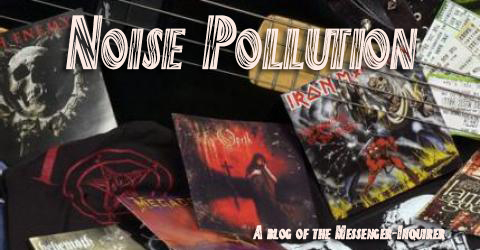 The German power metal monsters appeared to have been the victims of their own success. In the 1980s, when the band was fronted by unearthly lead singer Udo Dirkschnieder and powered by the blazing guitars of Wolf Hoffmann and Herman Frank, Accept created a sound all their own; you may not have been able to tell Overkill from Nuclear Assault (or Winger from Trixter, for that matter), but the second Dirkschnieder began to sing, you knew you were listening to Accept. Really, there was just no one else like them. The band also created a load of unforgettable songs. “Balls to the Wall,” was the Accept’s signature song — and it’s still the song that every single metal fan knows. The band’s ’80s output also included “Living For Tonight,” “Restless and Wild,” “Fast As A Shark,” and the epic “Metal Heart,” a song that contains the single most badass guitar solo of the decade. But the problem of having a signature sound is that it seems tamper resistant. When Dirkschneider took a hiatus from Accept to pursue his solo career, Accept essentially stalled. Strong words — but the rest of Accept didn’t believe them. 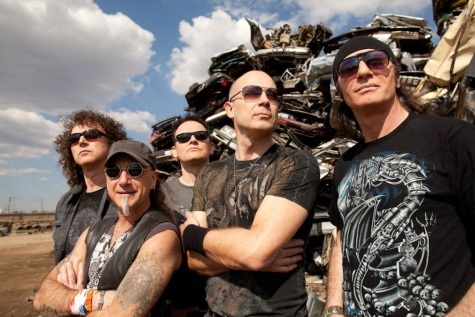 In 2010, Accept — with classic lineup members Hoffmann, Frank, bassist Peter Baltes, drummer Stefan Schwarzmann and new singer Mark Tornillo, of the American metal band TT Quick — released the astounding “Blood of the Nations,” an album that proved Dirkschneider wasn’t the sole source of the band’s fire. Earlier this year, Accept released “Stalingrad: Brothers in Death,” a disc that is even more powerful than “Blood of the Nations.” If anything, Accept as hungry and ready to shock the world today as they were when they released “Restless and Wild” in 1982. Instead of coasting on their old material as a nostalgia act, Accept — with “Blood of the Nations” and “Stalingrad” — are making some of the best music of the band’s career. As Hoffmann said in a recent phone interview before the start of the band’s U.S. tour with Kreator, the band’s new life came about almost by accident. “We weren’t even looking for (a singer) and we weren’t thinking about doing a reunion,” Hoffmann said. “We happened to find Mark one day and we did a fun jam session. With “Stalingrad,” the band tackles the horrors of World War II from two decidedly different perspectives. “Stalingrad” focuses on the suffering of the individual soldiers — German and Soviet — and points out that the men who did all the fighting and dying in that battle were a lot more alike than their leaders would have wanted them to believe. Was it awkward for a German band to write a song based on the German invasion of the Soviet Union? The band returns to World War II with “Hell Fire: Dresden,” a song about the February 1945 Allied bombing of the Dresden, where somewhere between 25,000 and 45,000 people were killed after intensive bombing obliterated much of the city. The bombing caused an outcry in both Britain and America over the loss of life and the destruction of a city at a time when the war was already nearing its end. Like “Stalingrad,” “Hellfire” focuses not on the politics of the war, but on the suffering of those dying in the bombed city. But “Stalingrad” is not a concept album; the band tackles numerous topics, such as the Sept. 11, 2001 terrorist attacks (“Never Forget”), economic recession (“Revolution”) and the price paid by soldiers who died for rest in places like Arlington National Cemetery (“Shadow Soldiers”). Is the album hematically heavy in places? Sure. Is it even downright moving at times? Oh yes (just try not to get a bit teary on the solo for “Shadow Soldiers”). But ‘thematically heavy’ and “moving” doesn’t mean that Accept has forgotten how to rock or have fun. “Hellfire,” “Revolution” and “Stalingrad” are fist-pumping anthems and the galloping “Hung, Drawn and Quartered” and “Flash to Bang Time” are sonic blasts. You won’t be crying into your beer with this disc. For the new album, Sneap acted as both producer and adviser, Hoffmann said. The band felt trying to rise to the level of “Blood of the Nations” was a challenge, Hoffmann said. After several decades in music, Hoffmann said he still enjoys touring — or at least the time on stage.